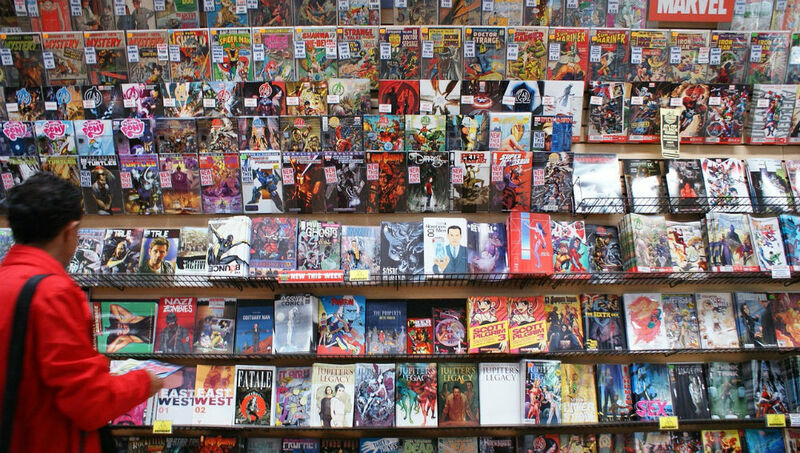 Since its debut in 2000, I admit I haven’t paid a ton of attention to Marvel’s Ultimate line of books. Ultimate Marvel is an alternate universe (to the mainstream Marvel one) that’s meant to be easier to get into, with less history/continuity than the usual Marvel stuff. However, what stories (or story summaries) I’d seen felt too much like regular current superhero books to me, i.e. “grim and gritty”-fied versions of regular Marvel characters (see: the Ultimate version of Captain America… Cap as if he were written for the Fox News crowd/”grim and gritty” superhero fans), the usual crossovers, etc. Thus, I’ve not given Marvel’s own “Earth-2” any more attention than mainstream Marvel… until now, that is. 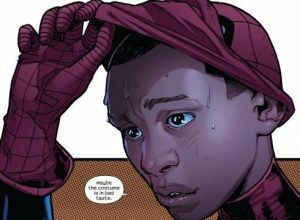 Bleeding Cool (along with other media) have reported that the new Ultimate version of Spider-Man will be a biracial teenager named Miles Morales (his mother’s Latino, while his father’s African-American). Ultimate’s version of Peter Parker was killed off in a much-hyped recent storyline; until now, Peter’s replacement as Spidey was also hyped up with some secrecy. While this could’ve waited until my weekly “minorities in comics and animation” post, I thought it seemed important enough to remark on it now. This marks a notable shift in thinking by one of the big two comic companies: an ongoing series about Marvel’s top superhero being a non-White character. Yes, it’s in an alternate universe, but so is the African-American Nick Fury, another Ultimate line creation. Ultimate-Fury’s also the most successful Ultimate character so far in terms of non-comics media. Every non-comic version of Fury in the past decade or so (including “The Super Hero Squad Show,” “Avengers: Earth’s Mightiest Heroes,” and the modern Marvel movies) has used the African-American version, not the standard Marvel Universe version. Of course, alt-Nick being played in the movies by Samuel L. Jackson doesn’t hurt. While I doubt I’ll be showing any love toward Ultimate-Cap anytime soon, I would be interested in reading about Mr. Morales, assuming he’s treated in a respectful or interesting manner, and not as “grim and gritty Spidey”/subject to being killed off in short order to bring Ultimate-Peter back. (For fans who want to read about a non-mainstream-continuity Peter Parker, there’s still the well-done and entertaining Marvel Adventures Spider-Man comic, which I recommend…). Meanwhile, online comic venues have exploded with chatter about this development, though unfortunately some of it’s rather hate-filled and racist, as Bleeding Cool also summarizes. Thought about *not* linking to it, but I figured it’s important to see the worst side of so-called “fans”… even the “exception” praising the move posted at the bottom of the page comes off as somewhat snide (“race-baiting liberals”? ).